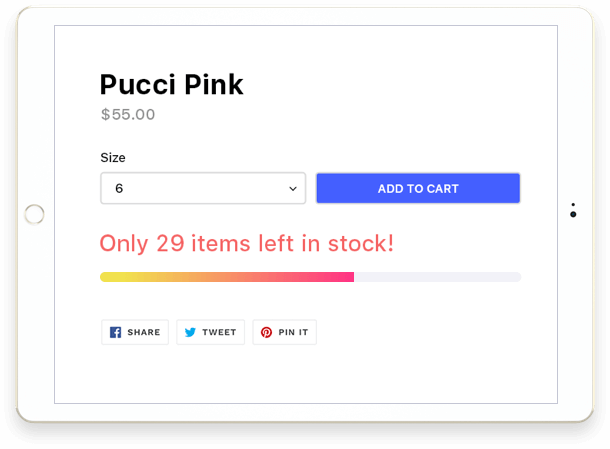 You spend a lot of time and money driving high-quality traffic to your online store and pushing shoppers to add an item to their cart — but what happens when they leave your site without completing a purchase? Why are your visitors not converting? It’s hard enough to get visitors to your site but what’s even more frustrating is to see shopping carts being abandoned by your visitors. What’s the reason behind cart abandonment? Today, you’ll understand the reasons why shoppers push the add-to-cart button without purchasing. We’ve also outlined how you can reduce cart abandonment so you can maximize every traffic opportunity and drive more people to conversion. Cart abandonment occurs when someone adds something to their shopping cart online but then leaves the website without successfully completing a purchase. Any item that goes into the cart but never makes it through the transaction is regarded to be abandoned by the shopper. You can determine your cart abandonment rate by simply tracking the number of visitors who have added items to their cart but drop out of the process before completing the purchase. 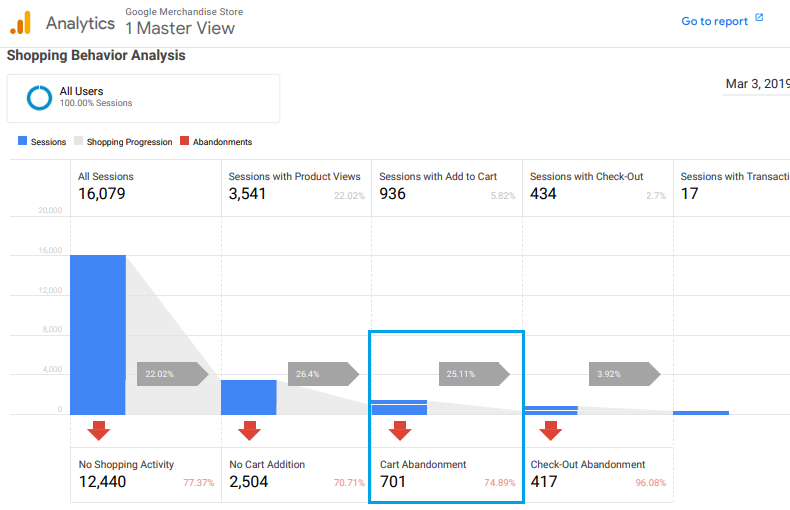 Using an analytics tool like Google Analytics, you can already see the progression of your visitors to the sales funnel and pinpoint the number of cart abandonment. Cart Abandonment Rate: Percentage of visitors who added items to their carts but left the site without proceeding to checkout. Cart abandonment is a major challenge for every eCommerce store owner with the latest cart abandonment rate at almost 70%. 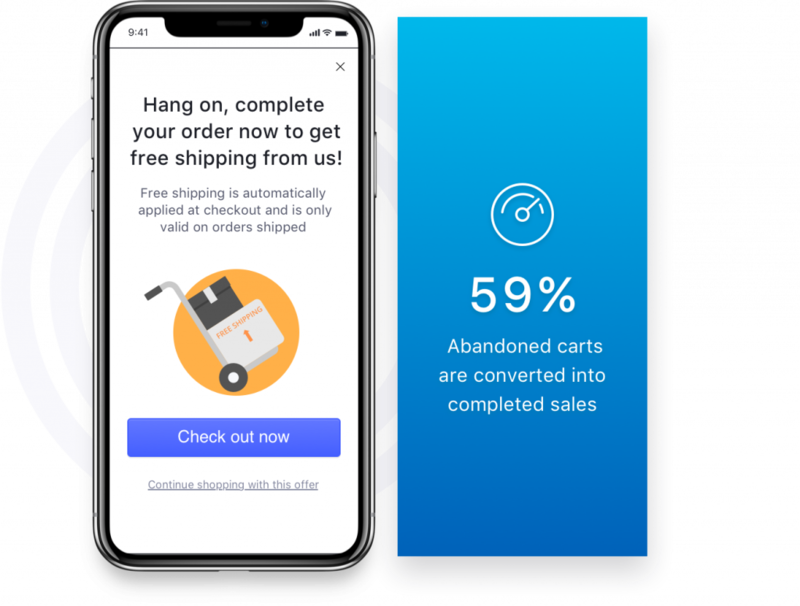 You are not alone with this dreaded high cart abandonment rate — 3 in 4 online merchants consider abandoned carts to be one of their top eCommerce challenges. Your cart abandonment rate is an important metric that will help you understand how your sales funnel is performing. It will show you the number of purchase intent but with unsuccessful completion. But most importantly, a high cart abandonment rate may signal some underlying issues in your eCommerce store, such as poor user experience or broken sales funnel. Thus, if you reduce cart abandonment in your site, you are directly improving your site’s conversion rate, leading to more sales and revenue for your eCommerce store. Some shoppers use carts as a means for research, organization, and price comparison without really the intent of purchase. They research and organize their desired items for future purchases. They also use this to wait for the prices to get lower while checking the cart from time to time. Some people put items in their shopping cart just for entertainment purposes, boredom or enjoyment seeking. These shoppers were just browsing and mostly cannot afford to purchase their products of interest or they don’t have a real intent to buy the items at that time. A lot of shoppers expect eCommerce stores to offer price promotions or have lower prices than physical stores. They also check if the shipping fees are too high or the discounts are too low. Perceived uncertainties refer to shoppers feeling that the risk of purchasing a certain product is high. These risks include security risks like stealing personal and credit card information, non-delivery of items, and the lack of credibility of the eCommerce business. Transaction inconvenience includes the complexity of the shopping process, lengthy registration forms, unexpected costs like shipping and handling fees that are not revealed in the product page, out of stock product information, technical glitches, and non-availability of other payment methods. Pre-decisional conflict is defined as the hesitation between buying and non-buying decision which might likely result in shopping cart abandonment. If shoppers are leaving after adding products to their carts, this might indicate the various reasons that we have cited above which have serious implications for your online store. If you are near or above the 70% cart abandonment rate, you are at very high risk of losing potential sales. You need to create a plan to reduce cart abandonment and prevent this from happening in the future. 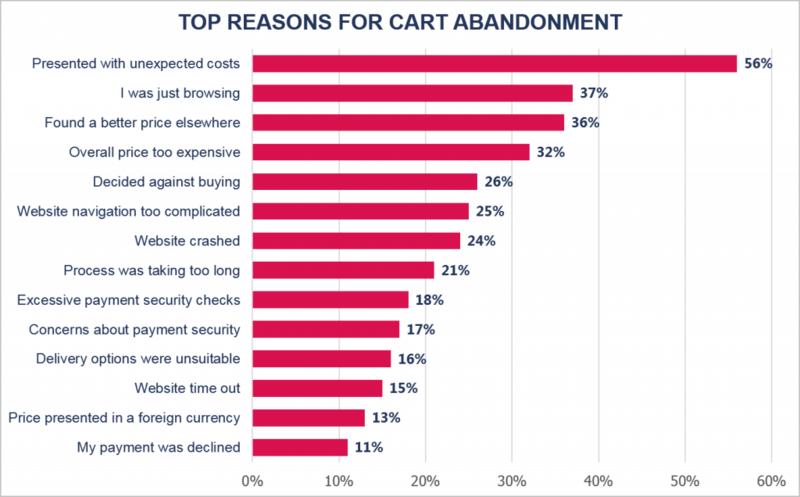 The first step in addressing your cart abandonment issue is to create hypotheses about why visitors are abandoning their carts. Examine how your current state of cart abandonment and determine the improvements that you can implement. It is claimed that you have to optimize your cart and checkout process by adjusting the cart to checkout user-experience to improve your conversion rates by 35.26%. An overly complicated checkout process and lengthy registration form to fill out are two of the most dreaded combination of high cart abandonment. Complicated and lengthy checkout turn away potential customers from completing a purchase. Optimizing your checkout process leads to more completed orders. This directly translates to more sales for your eCommerce store. Complicated design elements and unnecessary details tend to distract and slow down your shoppers on their path to purchase. They will also most likely to cause glitches or errors. Your checkout should be intuitive, seamless, and effortless enough for shoppers to move past the cart and complete their transaction. Your registration form should also be practical and functional, removing all unnecessary fields. You can add a checkout progress bar to serve as a visual indicator of where your customers are in the checkout process. It helps relieve your shoppers’ possible impatience since they have an idea if they’re near to completion. 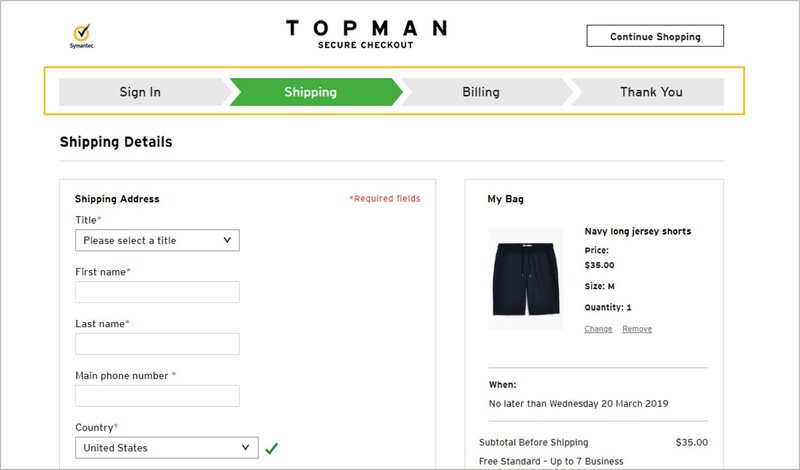 For example, Topman has a checkout progress bar to illustrate a simplified and seamless process. Shoppers tend to get frustrated when you require them to register at the checkout. Research from the Baymard Institute revealed that 34% of shoppers abandoned their carts because they are forced to register an account. While encouraging your visitors to register is a good lead generation strategy, it can also impact your cart abandonment rate because of their unwillingness to perform the additional step. To address this, offer a guest checkout or a social sign-in option. A guest checkout will help your shoppers complete their purchase more conveniently without the need to create an account. Alternatively, you can also offer your visitors with social sign-ins like registering using their Facebook accounts. This speeds up the registration because they won’t have to fill out lengthy forms which your visitors are impatient to do. A great example is how Firebox offers a separate sign-in option for new customers with a guest checkout and Facebook sign-in selection. Your online store’s credibility and authenticity play a major role in instilling trust and confidence in your shoppers’ decision-making process. They always want to make sure that you are a reputable and legitimate online store. This is because they share their personally identifiable data with you. Moreover, money and financial information will be involved. You can also provide reassurance to your shoppers by adding social proofs in your websites such as honest testimonials and positive reviews from your previous shoppers. 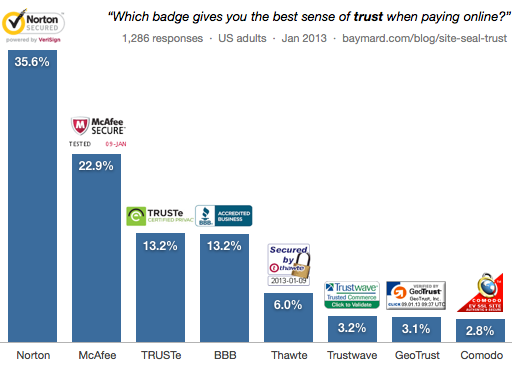 It was found out that 74% of shoppers trust a business more with positive reviews. 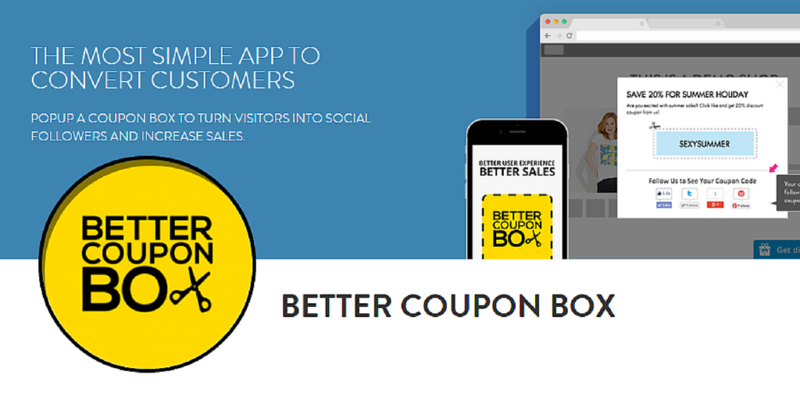 Aside from that, you can also display social proofs by displaying a popup message telling your visitors that other customers are also looking at the item they’ve added in the cart or that a recent purchase was made for the similar item. For example, Sales Pop enables you to display checkout notifications to tell your shoppers the number of people who have completed checking out in the last 24 hours and numbers of items left in stock. Shoppers hate surprises, especially if they mean more additional money to spend. Anything that is higher than what your shoppers expect to pay is definitely a bummer for them. What would you feel if you found out a hefty shipping charge at the checkout process? Isn’t that frustrating? It is better to be upfront with your shipping charges and other related costs like taxes and delivery fees so that you can already set the expectation of your shoppers. Remember, your visitors do a price comparison. It feels like they’ve been cheated on or manipulated if unexpected costs will suddenly appear at the end of the checkout page. Before your shoppers click the exit button, abandon their carts, and leave your site empty-handed, why not rescue them on-site? Employing an exit-intent technology can help you salvage your abandoning shoppers. An exit-intent tool enables you to detect visitors when they are about to leave your website without successfully completing their purchase. Once it detects abandoning visitors, an exit-intent message will popup to prevent them from leaving. You can make it more compelling by displaying an exit-intent offer of a compelling discount or freebie. This will allow you to reduce cart abandonment and drive them to proceed to checkout. 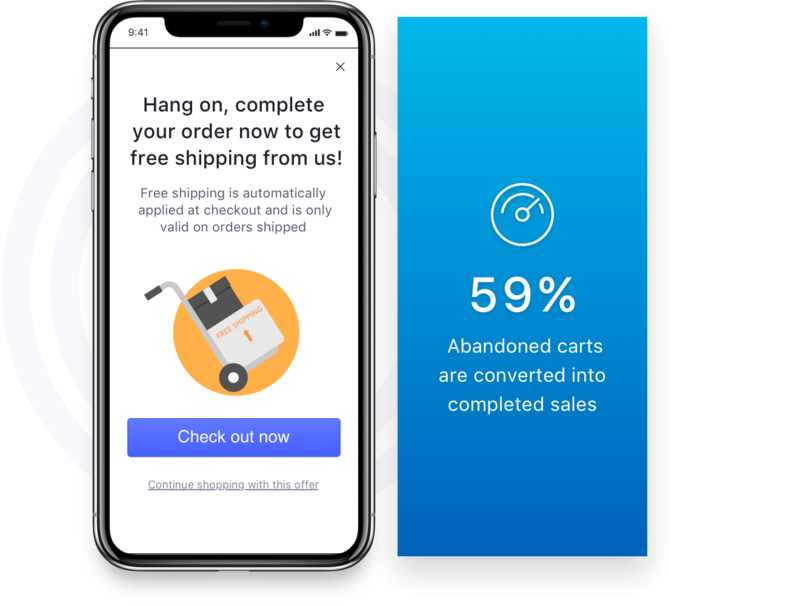 You can use Checkout Boost’s exit-intent feature to grab the attention of your leaving customers and entice them with a powerful exit-intent offer that convinces them to stay and complete checkout. You can see 6 types of offer you can create with Checkout Boost to reduce cart abandonment rate here. You’ve found out earlier that people are just browsing and not in a hurry to purchase a product even if they’ve added an item to their cart. While you cannot force their hand to purchase, you can definitely influence that by increasing a sense of urgency to your offers. You can heighten the urgency on your cart page by triggering the law of supply and demand. You can do this by using quantity-related scarcity and time-related urgency. If people feel that items will be out of stock or discounts will run out of time soon, then they are more likely to complete their purchase immediately. For example, you can add a countdown timer to your sales discounts to increase your shoppers’ sense of urgency. 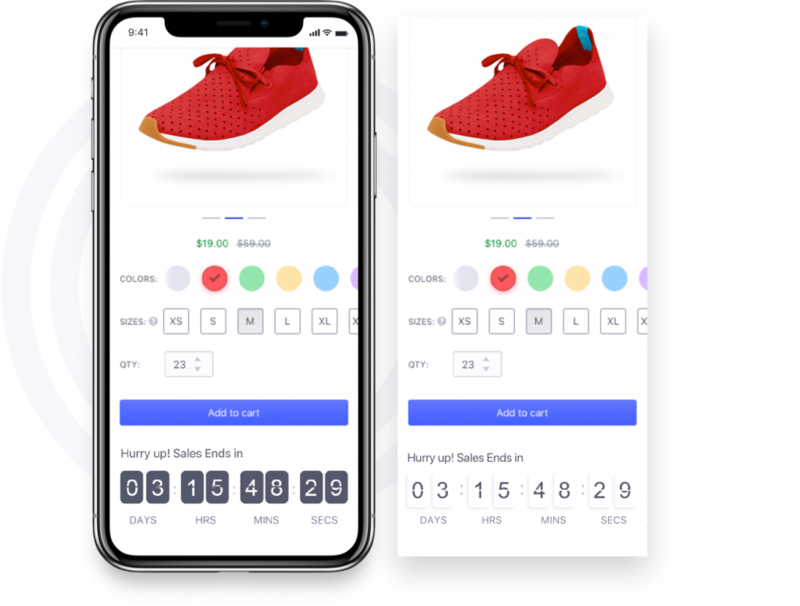 The Countdown Cart tool has a countdown timer that helps you drive hesitating shoppers to purchase as soon as possible to take advantage of the juicy discounts and promos before the time runs out. It also has a quantity-related trigger called ‘stock countdown’ display the limited quantity of items that are left in stock. This will increase the perceived value of your products and motivate your shoppers to make immediate purchases. 25% of customers reported that they have abandoned their cart due to the lack of a preferred payment method. If you want to reduce cart abandonment, then you should offer at least two to three different payment methods to provide your shoppers with good alternatives. Aside from debit and credit payments, you can also offer non-traditional payment gateways such as PayPal to accommodate your digital buyers. A variety of payment gateways can help you cater to a wide number of shoppers and prevent them from abandoning their carts due to lack of preferred payment channel. Prior to making a purchase, shoppers visit at least three websites first to look for the best deal they could avail. So before they compare you with your competitors, why not compare your products yourself? Shoppers normally only look at the most essential comparative points such as product price and features. When you present these comparisons yourself through a comparison table, you are in control of the conversation. For example, if you offer a more expensive product compared to your competitors, you can highlight your competitive advantages as the most noticeable section of your comparison table. This way you can explain further why purchasing your pricier product will return more benefits than buying a cheaper item. If all things fail and your visitors still abandon their carts, you can still drive them back to your site by using cart abandonment emails. 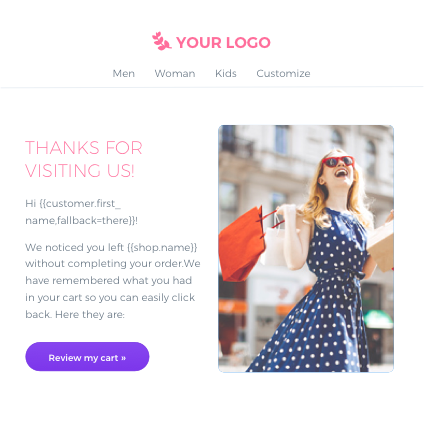 Sending cart abandonment emails to visitors who leave your store without finishing their purchase can help you remind them of the items they left. You can also make your cart abandonment emails to be more compelling by offering discounts to drive your visitors back to your site and complete their transaction. You can conveniently set up an automated email to recover abandoned carts using sales nurturing feature of Mailbot. Mailbot can help you send trigger-based personalized emails using your visitors’ browsing history. It helps you track those who abandoned items on their cart and then send them with an automated cart recovery email. If your visitors are leaving your site after adding products to their cart, this might entail some underlying reasons why shoppers leave their carts like unexpected costs, excessive payment checks or complicated navigation. With our best practices above, you can reduce cart abandonment, increase your conversions, and earn more sales by as much as 35%.